A fairly new outreach for us here is the donation of hearing amplification devices. All we require is that we have an opportunity to share the gospel with those in need. Often, a friend locates those who have a need…whether a hearing disability or a mobility issue…and we tell them about Jesus and give them a hearing aid or a wheelchair. There are plenty of wonderful stories in the gospel about Jesus healing people, both their physical ailment and their deeper spiritual need. Mayra does a wonderful job very clearly presenting the gospel. 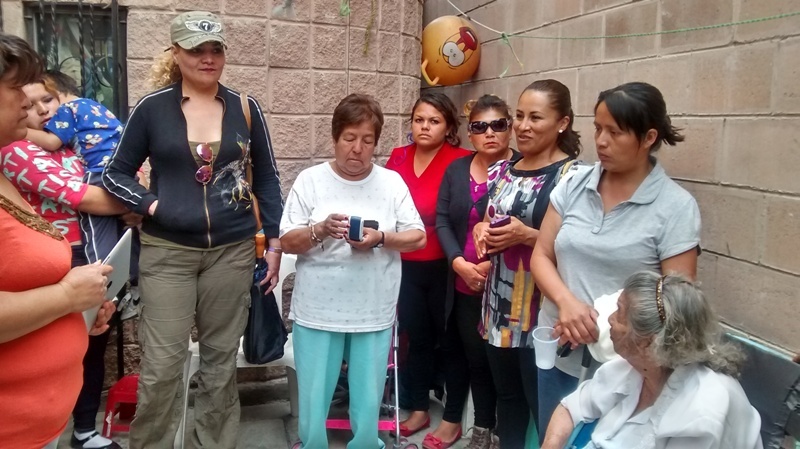 In the photo below, the taller gal to the left spoke to Mayra afterwards, wanting to know more. I’ve also written recently about our desire to plant sod, bushes and flowers in front of the church. You can see an artist’s rendering of what it might look like HERE. 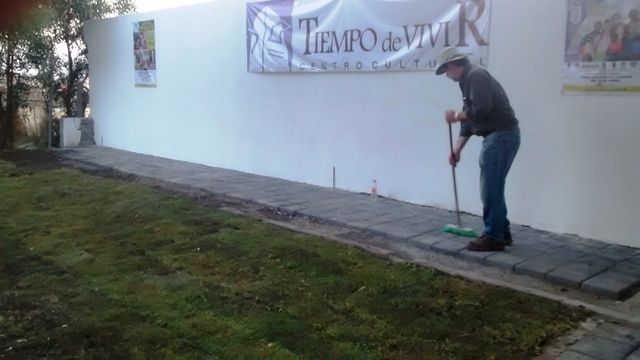 After we put the sod in it looked like the picture below (with David Radlowsky, who visited us from Canada). On Sunday, after the service, Samuel and Aurora, Mayra and I drove about 45 minutes to a very fertile area of Mexico City and purchased somewhere around 400 plants! I started to put them in the floor in the back of the van, but it was very apparent very quickly that we needed a professional plant packer? 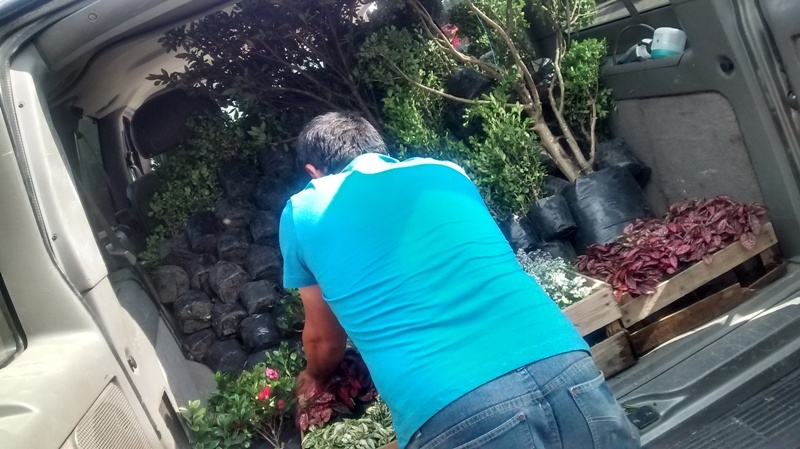 We purchased 260 small, bush-like plants (see header picture) for a whopping 3 pesos per plant! That comes out to somewhere around 17 cents per plant…quite the deal! Once again, the Astro has a story to tell. With potting soil on the roof and the back seat full of daisies we made it back to the church, and will be planting these soon.